Another week, another edition of Palmer Watch. Facebook CEO Mark Zuckerberg has been relatively chatty when it comes to what Facebook is kind of vaguely doing to maybe deal with fake news on the social network. 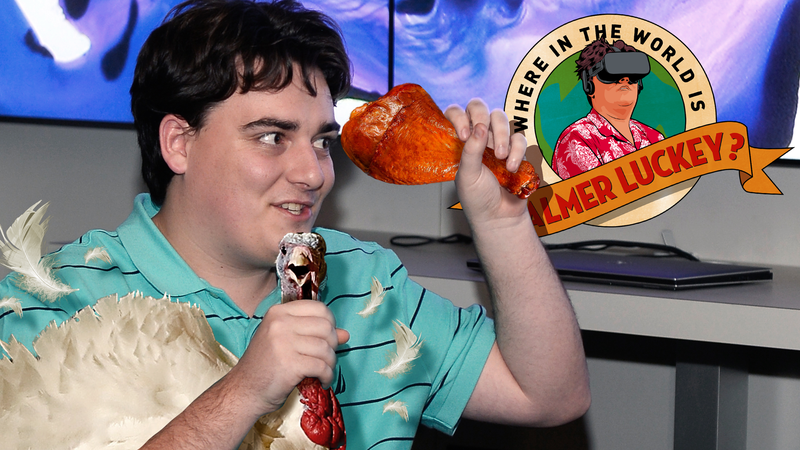 But he and the rest of Facebook’s PR operation are still quiet about Palmer Luckey, who has gone silent after it was revealed he helped fund Nimble America, a political organization that focused on spreading anti-Hillary Clinton and pro-Donald Trump memes. Palmer founded Oculus VR, which Facebook bought for $2 Billion in 2014. Zuck stood by Peter Thiel, who sits on Facebook’s board, when he came out in support of Donald Trump. Was Luckey banished? Is he now free to serve as Trump’s Secretary of Virtual Reality? If you know more, shoot an email to william.turton@gizmodo.com.